There has been tremendous growth in sustainable investing in the US. This finding has been borne out in a new report released on November 14th 2016. 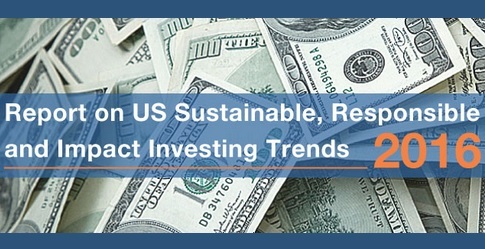 The biennial report on US Sustainable, Responsible, and Impact Investing Trends was created by the Forum for Sustainable and Responsible Investment and the US SIF Foundation. This is the only report of its kind in the US. 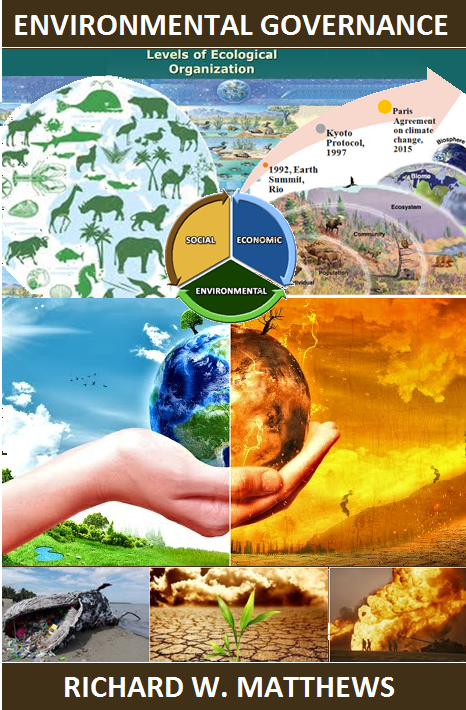 It provides extensive data on assets using one or more sustainable investment strategies and examines a broad range of significant ESG issues such as climate change, human rights, weapons avoidance, and corporate governance. Additionally, for the first time the report includes data on prison related issues and gender lens investing. 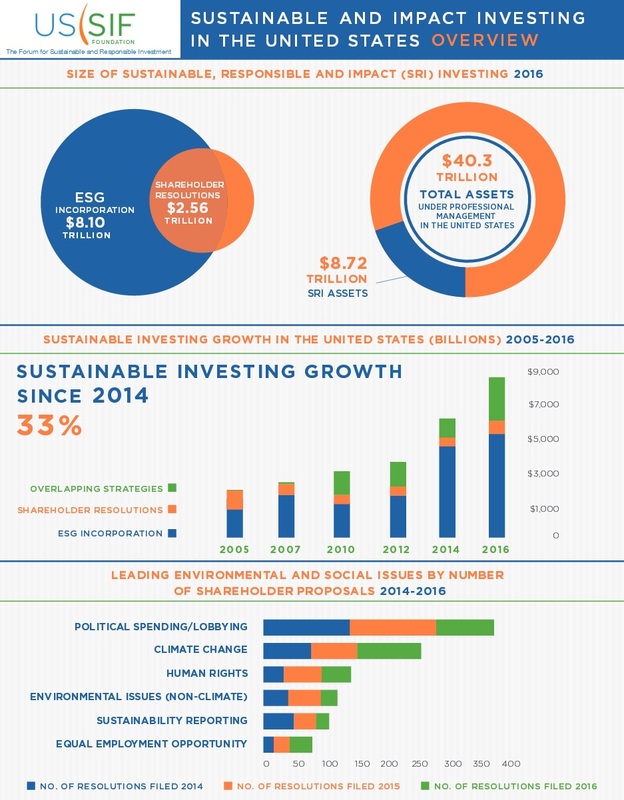 "Increasingly, asset managers, institutional investors, advisors and individuals are moving toward sustainable and impact investing to advance critical social, environmental and governance issues in addition to seeking long-term financial returns. Our biennial Trends report provides extensive data on the assets using one or more sustainable investment strategies and examines a broad range of significant ESG issues such as climate change, human rights, weapons avoidance, and corporate governance. Additionally, for the first time the report includes data on prison related issues and gender lens investing. 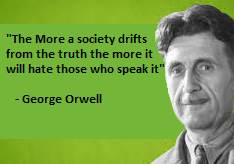 This report is the only report of its kind in the United States and is extensively used by other institutions and organizations." The Forum for Sustainable and Responsible Investment is the leading voice advancing sustainable, responsible and impact investing across all asset classes. 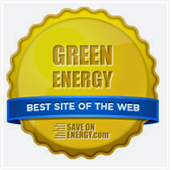 Its mission is to rapidly shift investment practices towards sustainability, focusing on long-term investment and the generation of positive social and environmental impacts. 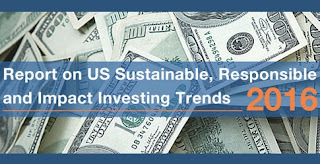 The US SIF Foundation undertakes educational, research and programmatic activities to advance the mission of US SIF and publishes the most comprehensive research quantifying the scope and impact of sustainable and impact investing in the United States. US SIF members include investment management and advisory firms, mutual fund companies, research firms, financial planners and advisors, broker-dealers, community investing organizations, nonprofit associations, and pension funds, foundations and other asset owners.